From Sheffield,UK. Kids and missus thought I needed a project so they bought me a 1966 Spanish Vespa Sprint as a combined birthday/Christmas present! Now I'm enthusiastic but intimidated about the restoration. Just about stripped down ready for the bodyshop and starting tentatively on the front end. Engine rebuild/overhaul looks difficult but I want to give it a go. Willing to pay for some experienced local guidance so that I don't end up with a basket of parts! - anyone out there available? Hi Peter welcome to the forum. You could always try Armandoes in Sheffield for some tips. Also plenty of info on the net. Anyway good luck with the build. Welcome to the forum, and good luck with your build! There’s a book available called ‘How to restore classic Largeframe Vespas’ which covers covers strip & rebuild of all the main items. It’s not massively in depth, but it’s well illustrated & a good reference point if your just starting out... if you shop around online you can pick a copy up for around £20 - and it might be the best £20 you spend on the scooter. Theres also a wealth of info on here to reference if you use the search function & there’s plenty of knowledgeable members who will be able to answer your question & offer guidance. 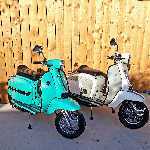 Not sure if Absolutely scooters in sheffield do Vespas...but i know they do fantastic paintwork. Thanks for your help and encouragement - it's much appreciated. 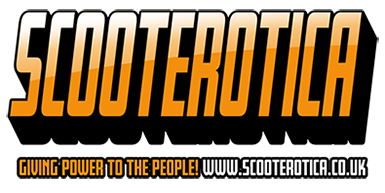 I'm using Absolutely Scooters for the bodywork - taking it down in a couple of weeks. Two good guys. Got the book and seem to spend all my time on youtube but would ideally like a mechanical expert I could call in and pay if (probably when) things go wrong. Thanks again - getting quite enthusiastic now.